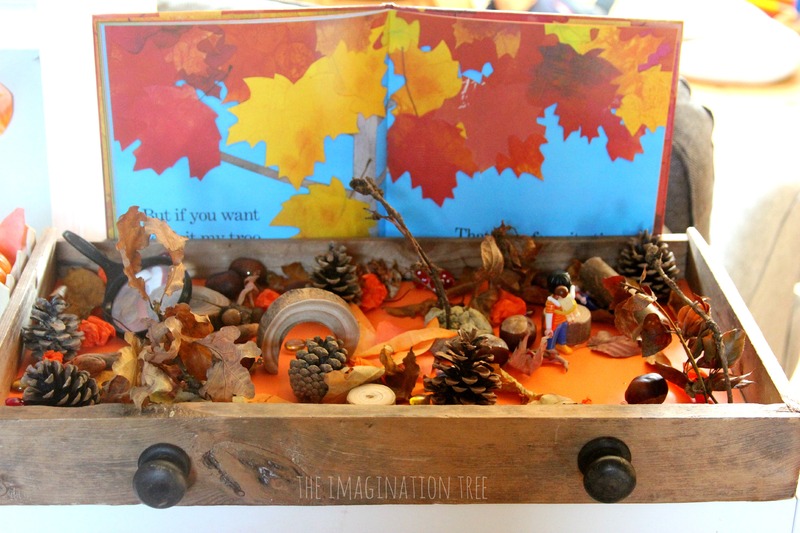 Create an Autumn woods sensory small world play in a drawer for hours of fall themed imaginative play and learning! 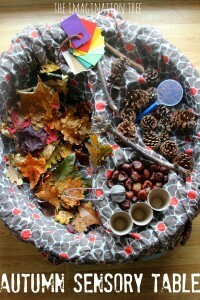 This little set up is great for preschoolers and school aged kids and makes a lovely story starter prompt too. 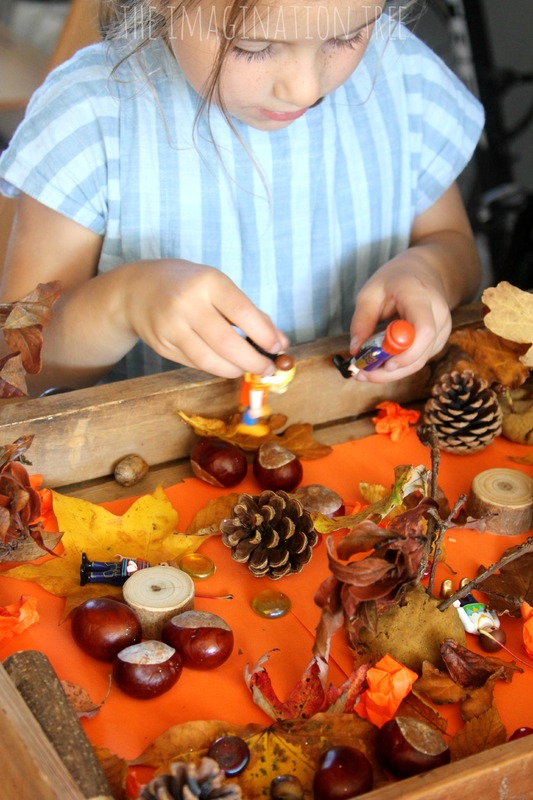 We set up a little Autumn sensory small world play scene in an old drawer using natural materials collected on an Autumn walk to the park, combined with some loose parts we have on our play and learning shelves. First I lined the drawer with orange paper, then we simply added leaves, pine cones, conkers (chestnuts), warm coloured glass gems, toy toadstools and wood slice blocks. 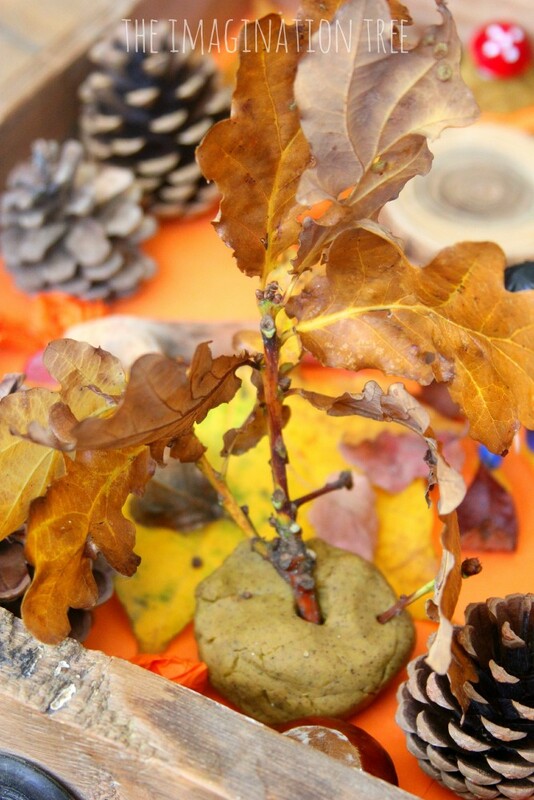 We used little balls of Autumn spice play dough to become bases to hold up small twigs with leaves attached to them, to make miniature trees. 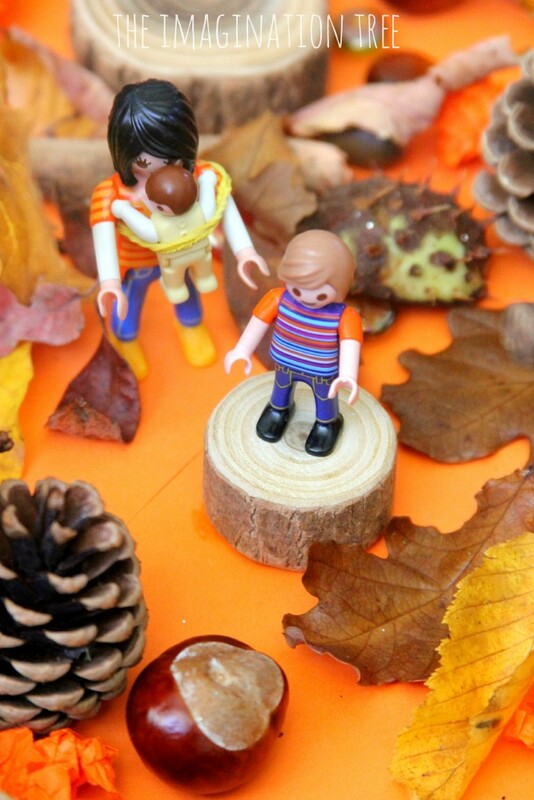 Then we found a few Playmobil figures to add to the scene so that they could be walking through the woods! 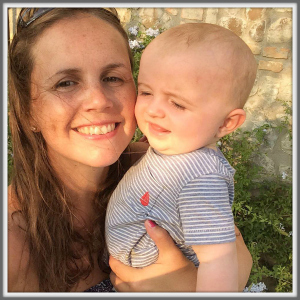 We attached the baby to the Mummy using an elastic band to make a baby carrier. 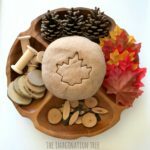 Both my preschooler and bigger girls (ages 3, 5 and 7) all loved this and made up lots of imaginative play stories using the characters. 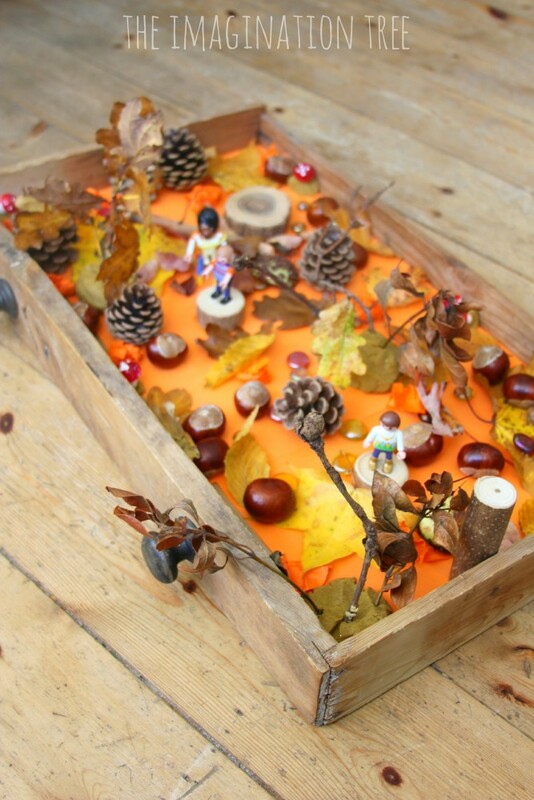 It has been a lovely little place for them to play before and after school and they’ve added more figures to the scene to extend the play. 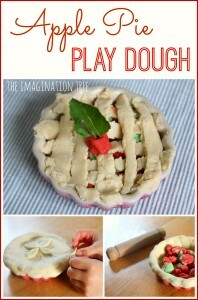 See all of our (many) sensory play ideas here. 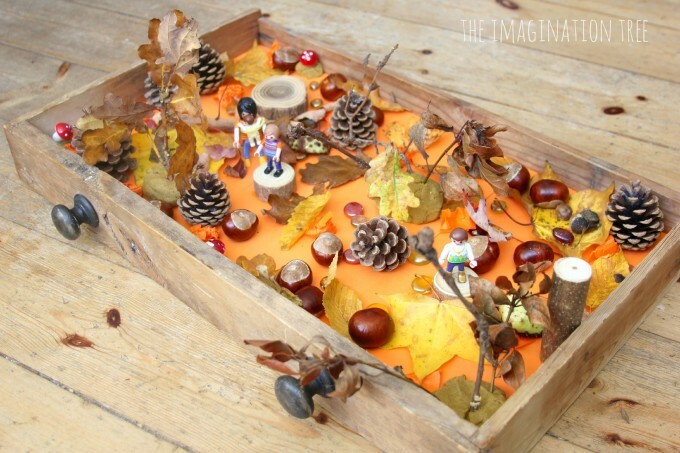 See all of our small world play set ups here. 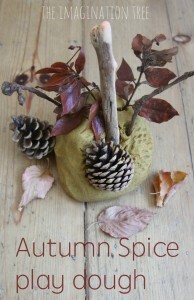 See all of our Autumn themed activities and crafts. 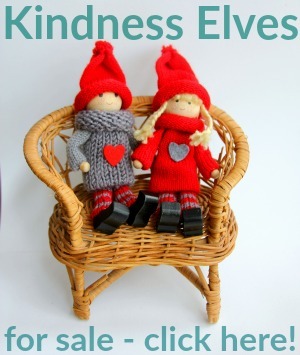 Follow my Small World Imaginative Play board on Pinterest too! 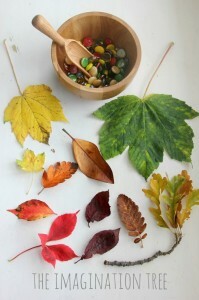 Follow Anna @ The Imagination Tree’s board Small World Imaginative Play on Pinterest.